A pollen allergy may be referred to as allergic rhinitis or hay fever, which is considered as one of the most common reasons for allergies in the U.S. It’s crucial to plant growth but it can lead to unpleasant symptoms for individuals with pollen allergies. It spreads via the air and feeds plants during growing seasons. Lots of people adverse immune responses as they breathe in pollen. Normally, the immunity protects the body from harmful invaders including bacteria and viruses to fight off illnesses. The immunity mistakenly recognizes the harmless pollen as an unsafe intruder in people with pollen allergies. It stars producing chemicals to battle the pollen, which is called an allergic reaction. The reaction causes different irritating symptoms such as watery eyes, stuffy nose, and sneezing. The allergy may be hard to go away when it has developed. However, the symptoms can be controlled with allergy shots and medications. 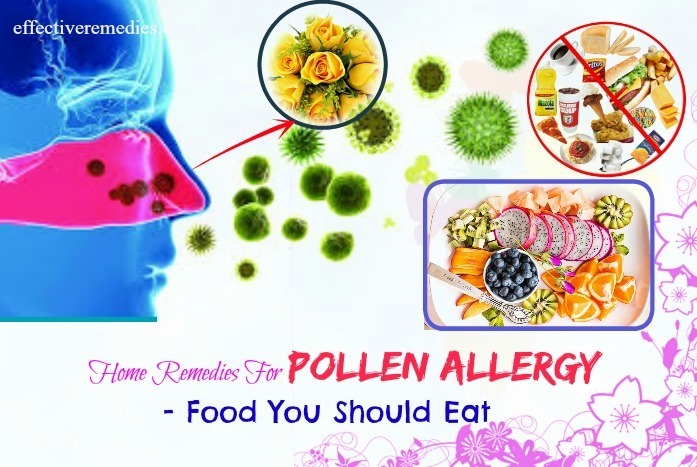 Also, making certain lifestyle changes and opting for home remedies can be beneficial for relieving the symptoms related to pollen allergies. 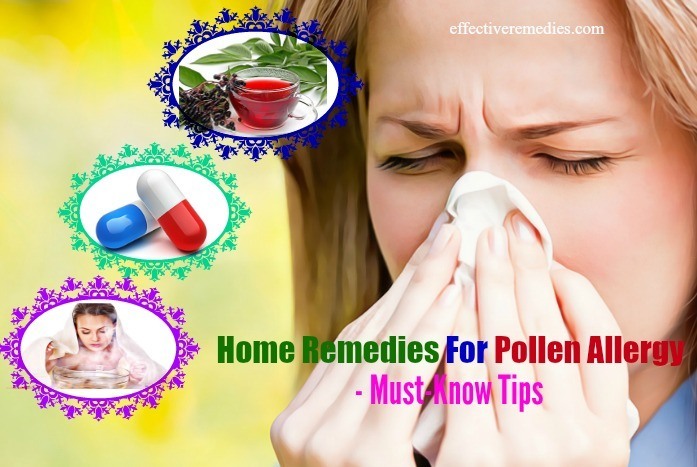 In this article on Effective Remedies, you will know about the most effective home remedies for pollen allergy symptoms in adults and children. Oak pollen allergy: During the spring, oak trees send the pollen into the air. Though oak pollen is a mildly allergenic in comparison with the pollen of other trees, it often stays in the air for a longer period of time. It can lead to severe allergic reactions in a few individuals with pollen allergies. Birch pollen allergy: It’s a common airborne allergen during the spring. A single birch tree may produce up to five million pollen grains. Grass pollen allergy: During the summer months, the grass is the leading trigger of pollen allergies. Allergy tablets and allergy shots can be highly beneficial for soothing the grass pollen allergy symptoms. Ragweed pollen allergy: Ragweed plants are the most active between the late fall and spring months and are also the primary culprits of allergies among weeds. You don’t have to depend on an OTC medication to deal with the pollen allergy and its symptoms. 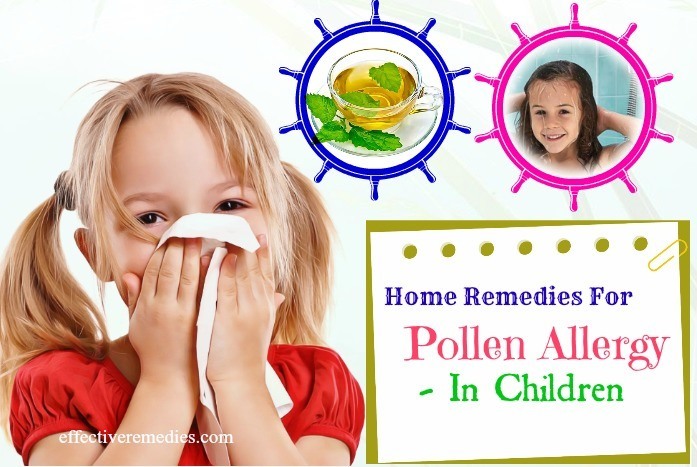 Instead, try the following home remedies to get immediate relief from the pollen allergy symptoms in adults and children. Apple cider vinegar provides use with a wide range of health advantages. It’s ideal for reducing the mucus production. Besides, it can cleanse the lymphatic system, which makes it highly effective for patients with pollen allergies. Apart from that, it is chock-full of vitamins A, B6 and C, and acetic and malic acid, which can help balance the body’s pH level, thus treating allergies. Last but not least, it can enhance the immune system power of the body. Just add the prepared ACV to the water. Then, have this mixture at least thrice a day and continue consuming it to stop pollen allergies attacking you again. Drinking too much ACV can lead to osteoporosis and low potassium levels. The acetic acid present in it can weaken dental enamel and cause tooth decay and loss of minerals. Onions are flooded with quercetin, an antioxidant that inhibits the white blood cells from producing histamine to attack the allergen. When histamine isn’t released, the allergy symptoms will automatically decrease within a couple of days. In addition to this, quercetin prevents inflammation and functions as a bronchodilator that helps to open up the airways. Slice the red onion at first and later take the onion slices in a bowl. Then, you add the water to it and let these slices sit in the water for roughly 8 to 10 hours. Afterward, strain it and consume the infused water once to twice every day. You can also add the honey to this mixture if you do not like the taste of the red onion and water. Follow the treatment regularly for best results. Onion isn’t a safe product to eat for people who are allergic to it. It may lead to allergic symptoms such as redness of eyes and skin, oral swelling, itchy skin, and difficulty in breathing. The aroma of eucalyptus works wonders in opening up your nasal passages and sinuses. According to clinical studies, eucalyptus oil can help calm the symptoms of allergies since it is enriched with anti-inflammatory and anti-bacterial properties. Put the oil in the bathtub of water and soak yourself in it for approximately 20 minutes. Try this remedy twice per day to get immediate relief from the pollen allergy symptoms. Please don’t apply eucalyptus oil directly to the skin or swallow it since it’s highly toxic in concentrated quantities. Young children and infants should never inhale or ingest this oil. 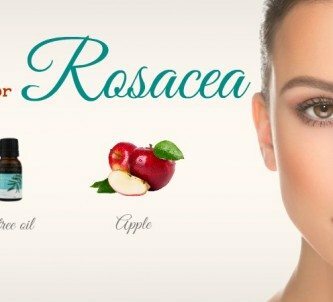 If this oil is applied directly to the face or skin of a young child, it may result in apnea, asthma, and wheezing -like symptoms. Turmeric is a fantastic and natural nutritional supplement, which is useful for curing many health and beauty problems, including allergies thanks to its analgesic, anti-inflammatory, and anti-bacterial. Curcumin present in turmeric works as a decongestant. Plus, it can decrease histamine – release because it functions as an antihistamine. Just add some honey and black pepper along with the turmeric powder to the boiling milk. Stir them well and enjoy it before your bedtime or on an empty stomach. Regular consumption of this turmeric milk for twice to thrice per day will aid in banishing the allergic reaction. If you are allergic to dairy products, avoid consuming turmeric milk. Instead, use soy milk. Also, ensure to check if this yellow spice is suited for your body and skin because a few people are allergic to it. Butterbur is helpful for blocking the production of histamine and reducing inflammation. Besides, it can assist in easing the most common symptoms of allergies such as itchy eyes, headaches, fever, and sinus congestion, etc. Take the butter roots and wash them under cold running water to eliminate all the impurities and dirt. Then, soak these roots in the cold water for roughly 12 hours. Boil the mixture in a pot after soaking and simmer it for around 3 to 5 minutes. After that, strain the tea into one cup using a wire mesh strainer. Add the honey or sugar for taste and consume this tea up to thrice per day to remove the pollen allergy. Don’t drink butterbur tea for long-term because it can cause a variety of contradictions. You should drink it for about two to four weeks to lower the allergies. It isn’t recommended for pregnant women yet is safe and well-tolerated in most children and adults. Green tea consists of a compound named as EGCG (epigallocatechin gallate), which can inhibit cells from releasing IgE (immunoglobulin E) and histamine. When the histamine isn’t released, the allergy symptoms will start decreasing and will completely go away within a week. Apart from that, it can fight against the pollen allergy symptoms such as coughing, sneezing, and watery eyes. For most adults, green tea is possibly safe when consumed in moderate amounts as a drink. However, when taken in high doses or long-term by mouth, green tea can cause side effects such as a headache, sleep problems, nervousness, vomiting, irritability, diarrhea, tremor, heartburn, and irregular heartbeat. Like onions, apples contain quercetin and help to lower the release and production of histamine, which makes it one of the best treatments for pollen allergies. Walnuts are excellent for soothing allergic symptoms such as itching, sneezing, wheezing, and coughing due to its magnesium. Besides, walnuts are rich in vitamin E, which can boost your immune system power and prevent your body from allergy reactions. Chop the walnuts and cut the apple into small and medium-sized chunks. Later place them in a bowl and bag and toss them well. Afterward, eat them once to twice per day to allergies. Consuming apples can lead to an allergic reaction in a few people. If you’re allergic to peach, plum, strawberry, and almond, you’re most prone to be allergic to apples. Nettle and peppermint both comprise a type of flavonoid named luteolin-7-O-rutinoside that is proven to prevent the secretion and activity of anti-inflammatory enzymes such as histamines. Apart from that, it’s perfect for reducing the other discomforts linked to the pollen allergy. Just place the dried peppermint and nettle leaves in a bowl and pour the boiling water on them and then put a lid on that bowl. Allow the ingredients to steep in the water for around 10 to 20 minutes. Afterward, strain and add the lemon juice or honey for taste. Combine these things well and consume it hot. It’s advisable to take this tea twice every day for quick relief. Nettle is thought to be likely safe when taken for short-term (no longer than six months). However, when taken for a long period of time, it may cause common side effects such as sweating, skin irritation or stomach discomfort. Goldenseal composes of antibacterial and immune-boosting abilities, which are beneficial for treating pollen allergies. In addition to this, it is helpful for battling liver problems, respiratory disorders, urinary tract infections, and purification of blood. Firstly, add the dry goldenseal roots to the boiling water and later leave it to steep for about 5 to 10 minutes. Strain it and add the honey or sugar for taste. Afterward, enjoy this tea once a day to treat allergies. High doses of goldenseal can rarely induce anxiety, depression, nausea, seizures, and paralysis. Flax seeds are rich in omega-3 fatty acids that are clinically demonstrated to fight allergies. According to the Technical University of Munich, Germany, consuming omega-3 is beneficial for reducing the symptoms of fever with allergies and allergic rhinitis. Pick up the prepared flax seeds and add them to the food you consume. Also, you can add them to the salads and eat it on a regular basis to treat the pollen allergy symptoms. Flax seeds are high in fiber that offers it a laxative agent. When used in excessive amounts, it can trigger abdominal discomfort, raising the count and frequency of your bowel movements. The citrus fruits are full of vitamin C that is known to combat the allergies in general and the pollen allergy in particular. They further strengthen the immunity. You squeeze the juice from the lemon and oranges in a bowl. Add the honey and stir well. You can either drink this fresh or chill it for several hours before drinking. It is suggested to enjoy this juice at least twice per day to decrease allergy symptoms. You will become prone to food poisoning if you ever take unpasteurized honey. As it is neither processed nor heated, it may include foreign particles, such as small pieces of bee wings, pollen, honeycomb bits, and propolis. These may eventually cause digestive system disorder. Basil comprises antihistamine properties, which can prevent inflammation caused due to allergies. Apart from that, it can help remove insect or bee venom from a sting. You can take some fresh basil leaves and chop them. Add them to your soups, salads, and dressings. Chop a few fresh basil leaves at first and later add them to the boiling water. Let the leaves steep for about 5 minutes and filter the tea afterward. Add a little honey to taste before enjoying. Basil is possibly safe when taken in food amounts by mouth. Basil can lead to low blood sugar in some people. Ginger is highly effective in preventing allergic reactions since it holds anti-inflammatory and antihistamine qualities. According to a 2015 study, ginger may be useful for hay fever patients during the pollen season and for people with perennial allergic rhinitis. The first step is cutting 1-inch of ginger root and mashing or grating it. The following step is adding it to the boiled water. Let it steep for roughly five minutes before you filter the ginger and drink the tea. Alternatively, you can add the grated fresh ginger to stir-fries, salads, or curries. For most adults, ginger is likely safe when appropriately taken by mouth. A few people can face some mild side effects such as diarrhea, heartburn, and general stomach discomfort. Peppermint consists of a substance called menthol, which promotes free breathing by decongesting a blocked nose and relaxing the muscles of the respiratory tract. It additionally helps the body to battle infection thanks to its mild antibacterial and anti-inflammatory properties. Place the dried peppermint leaves in the quart jar and fill 2/3 of the jar with the boiling water. Steep for around 5 minutes, let it cool and strain. If desired, sweeten and drink. Peppermint tea can cause allergic reactions such as a headache, mouth sores, and unsteady feet. When you see such symptoms, consult your doctor or avoid taking the tea. 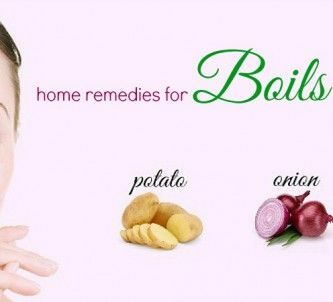 You can opt for natural home remedies to relieve the allergic symptoms and give relief to your child. Saline Solution: Using saline water to rinse the nasal cavity can assist in removing the allergens such as pollen and loosening stuffed-up mucus. Plus, it also aids in easing inflammation. Just dissolve one teaspoon of salt in distilled water. Pick up a pin of water at first and add a pinch of baking soda. Start making your little on sniff up this solution through one nostril and allow it to drain out through his or her nose or mouth. You can make your children use this saline solution two times per day for effective results. Nettle Tea: Nettle leaves contain antihistamine agents and can calm allergy symptoms instantly. Just steep some nettle leaves in enough boiling water for fifteen minutes and strain it. Make your little one have a cup of this tea. It will be useful for soothing the throat and nose and providing instantaneous relief. If your child suffers from a sneezing attack by an airborne allergen like pollen, give her or him a hot shower to help take the allergen residue out of the body. If your kid complains of watery and itchy eyes during pollen season, you can wash her or his eyes with cool water to provide relief. There are several OTC medications that can be helpful for relieving symptoms such as a runny nose or sneezing. You should opt for medications containing decongestants and antihistamines to help handle the symptoms of pollen allergy. You can use non-sedating oral antihistamines, including fexofenadine (Allegra), loratadine (Claritin), or cetirizine (Zyrtec) if allergies make you feel itchy. And take Chlor-Trimetin or Benedryl that are 100% sedation antihistamines if allergies make you hard to sleep. Allergy shots are recommended if medications don’t help you. They’re a form of immunotherapy, which comprises a series of injections containing the allergen. The allergen amount is gradually increased over time. Allergy shots are meant to adjust the way the immunity responds to the allergen. It’ll take about 1-3 years for you to be cured. Elderberry has been used traditionally to treat people with pollen allergies. This herb is full of bioflavonoids, antioxidants, and anti-inflammatories that may work as an anti-allergy treatment. Elderberry as a supplement or as tea is regarded to be safe for adults and children. Steam inhalation can help relieve allergic reactions and symptoms. Just heat up one pot of water until it’s boiling. Drape one towel over your head & the pot once turn the flame off. Inhale slowly and deeply via your nose. It’ll aid in alleviating the tension in the respiratory tract that often occurs when you’re suffering from allergies. Probiotics are known as great bacteria which play a crucial role in balancing your immunity by better digestion. Plain yogurt is rich in probiotics. Thus, eat the yogurt daily to get rid of the allergy together with its symptoms. You should choose the brands that consist of bifid bacterium lactis, Lactobacillus rhamnosus GG, and acidophilus. Acupuncture is excellent for soothing the allergies and hay fever. It further helps to banish the allergy symptoms. Along with that, it can control the inflammatory immune system substance that is involved in allergic reactions. Here are some of the facts about pollen, which may surprise you. If you endure a runny nose, itchy eyes, wheezing of asthma, shortness of breath, and congestion of allergies, your doctor can prescribe antihistamines, corticosteroids, bronchodilators, decongestants, and other drugs to soothe your symptoms of pollen allergy. But making small diet changes can help you feel better. Increase Your Vitamin C Intake: Vitamin C can lower the release of histamines and decrease the sensitivity of the airways to histamines. Papaya, mango, banana, guava, broccoli, cauliflower, pineapple, cabbage, and sweet potatoes are some of the foods containing high levels of histamines. The recommended regular amount of vitamin C is 1000mg. Foods High In Omega-3 Fatty Acids: Omega-3 fatty acids help to lower sinus inflammation caused due to sinus allergies since they consist of anti-inflammatory effects. They are also useful for improving lung health and boosting your immunity, thereby helping your body to battle pollen allergies. Omega-3 fatty acids rich foods include walnuts, soybeans, flaxseeds, cauliflower, sardines, shrimp, and salmon. The recommended amount of omega-3 fatty acids is 1000mg, thrice a day. Follow A Low-Salt Diet: According to studies, eating a high-salt diet may be linked to more severe asthma. Eating a diet low in salt is helpful for improving lung function, decreasing symptoms, and reducing the need for medications in individuals with asthma. You can decrease salt in your diet by avoiding processed foods such as canned soups and frozen dinners and consuming plenty of fresh vegetables. You should avoid almonds, apples, avocado, banana, carrots, cherries, celery, fig, coriander, fennel, hazelnuts, parsley, kiwi, peaches, pears, potatoes, plums, strawberries, soy, wheat, and prunes if you are allergic to birch pollen. Avoid bananas, artichoke, dandelions, cucumber, green pepper, honey, Echinacea tea, tomatoes, watermelon, sunflower seeds or oil, and honeydew if you are allergic to ragweed pollen. Avoid kiwi, melon, tomatoes, celery, figs, oranges, and peaches if you are allergic to grasses. Avoid carrots, anise seeds, apples, celery, caraway seeds, fennel, parsley, kiwi, sunflower, pepper, peanuts, and coriander if you are allergic to Mugwort pollen. Avoid almonds, apples, cherries, peaches, pears, celery, strawberries, and raspberries if you are allergic to Alder pollen. 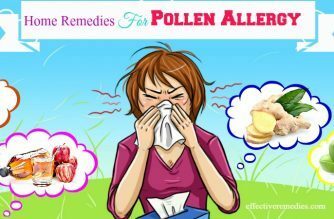 Aside from the above natural home remedies to treat pollen allergies, there are also a few tips that can encourage the healing process of the pollen allergy and other types of allergies. Consume plenty of water daily while suffering from a pollen allergy. You can also drink an increased amount of vegetables and fruits that are high in water content. Besides, staying hydrated is helpful for enhancing the thin secretions, which in turn makes them easier to eliminate. Along with that, it will keep the mucous membrane hydrated, and decrease the itchy and scratchy feeling. Stress has a negative effect on the immunity. Thus, reducing your stress will reduce the risks of having an allergic reaction. You can reduce stress by getting enough sleep, exercising, yoga, and meditation. Research has indicated that exercising helps to relieve allergies, especially hay fever. Remove the pollen from your home. One of the great ideas to eliminate the allergy symptoms is to limit the exposure to allergens. After returning from the outside, you should take a good shower. Wash your skin and hair thoroughly to ease the pollen. Use cool water to rinse your eyes. You can use portable air cleaners to remove allergens from your home. Try avoiding smoking and smokers if you’re suffering from an allergy. Cigarette smoke may aggravate the allergy symptoms. Use the appliances that contain HEPA filters and use the air conditioner or humidifier that ease the allergy symptoms. Always wear sunglasses and a wide-brimmed hat because they can prevent the pollen from blowing into the eyes and make them watery, itchy mess. In fact, all the above remedies will relieve the pollen allergy symptoms naturally and quickly. 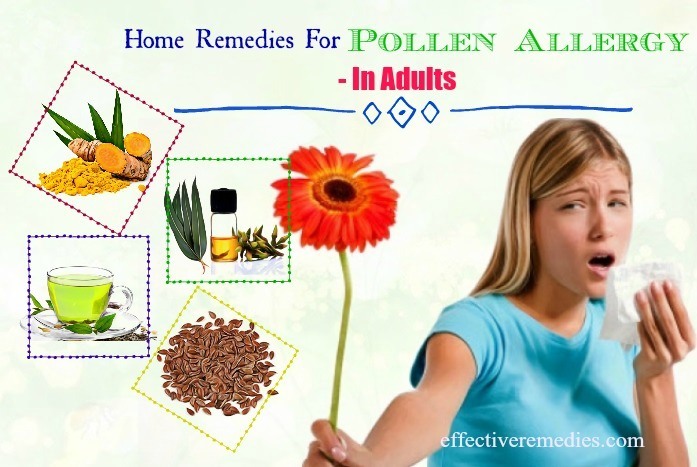 If you have other effective home remedies for pollen allergy symptoms in adults and children, then share any remedy you know with us. All of the contents provided in this article are for informational & educational purposes. We recommend you consult a healthcare professional to determine which method is appropriate for you.